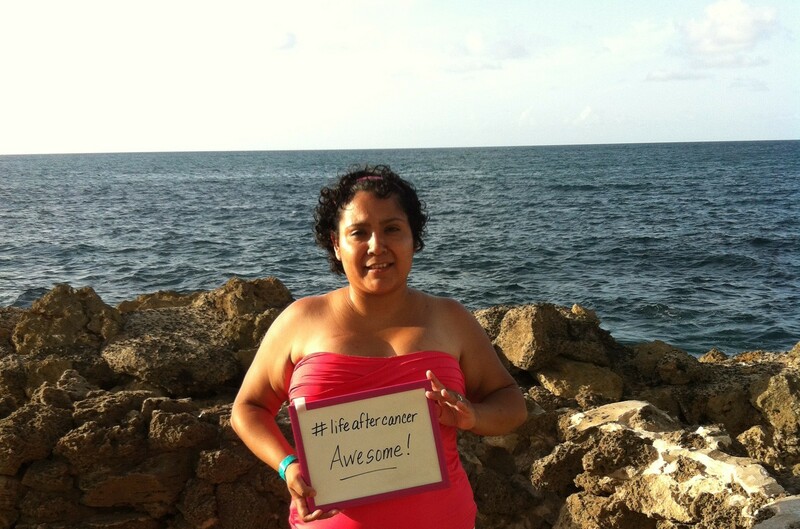 I recently celebrated a birthday, as well as my 1-year cancer-free anniversary, with a family vacation in Puerto Rico. While on vacation, my iPhone got wet and stopped working. When I realized that the communication device that I use to stay connected to the world may be damaged, I was initially upset. After all, I had our entire vacation planned out on my phone – complete with daily itineraries, maps, etc. With my phone now inactive, I struggled with the fact that I may not be able to do it all while on vacation. Fortunately, the resort’s activity schedule was posted in our room and I was still able to catch the yoga activity that day. Yoga by the beach – it was like nothing I had ever experienced before. As I flexed my body into challenging poses, decluttered my mind and took notice to the sound of crashing waves and smell of the ocean breeze, it dawned on me: I was truly in paradise and I didn’t want to miss another minute of it! It all could wait until I returned from paradise. And it did – and I went on to have one of the most relaxing, mindful vacations ever. In conclusion, I don’t recommend submerging your phone into the ocean while on vacation, but I do highly recommend that you take a moment to truly live in the moment. For more on mindfulness, visit Pyschology Today’s Mindfulness Basics.